See scan - perfect condition and great enamel work at ribbon hanger. 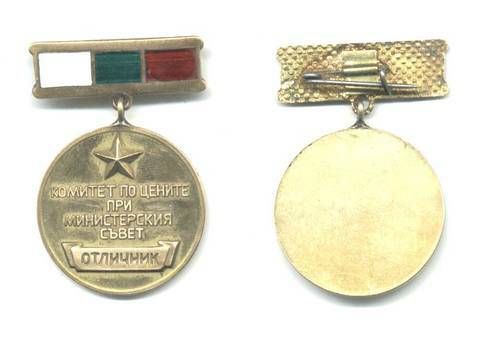 This is a rare Bulgarian Communist era medal awarded to people for their perfect service to the State Council of Ministers. Scarce and rare collector piece.